Heart disease is the leading cause of death for both men and women. 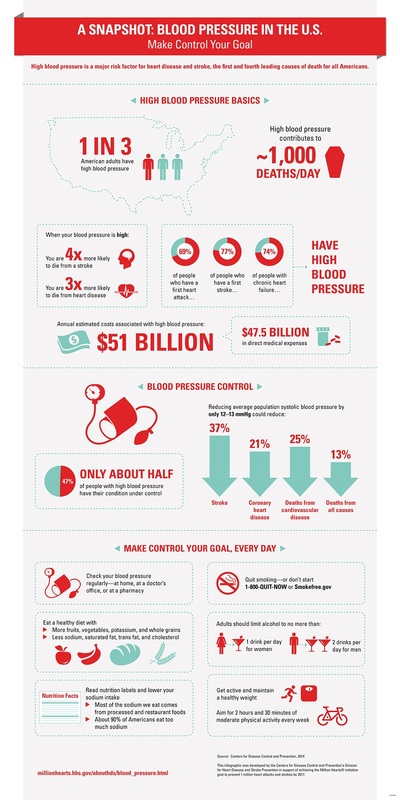 Uncontrolled high blood pressure is a leading cause of heart disease and stroke. In fact, more than 67 million Americans have high blood pressure. People with high blood pressure are four times more likely to die from a stroke and three times more likely to die from heart disease, compared to those with normal blood pressure. According to the Office of Disease Prevention you can make healthy changes to lower your risk of developing heart disease. Controlling and preventing risk factors is also important for people who already have heart disease. The American Heart Association also has some great resources on their website including tips to stay active, and how to make every move count! If you need help finding exercises and activities that fit your lifestyle and abilities talk to your physical therapist. PT’s specialize in the science of movement, so who better to ask! If you don’t have a physical therapist make sure you check out our PT finder and get started on your path to a healthy heart this February!